In September, few traces will remain of the Shelburne Road KFC. The fast-food counter and plastic tables where the ghost of Colonel Sanders once flitted will be replaced by a brick interior and 25-foot maple bar. Fountain drinks will give way to 15 local microbrews on tap, plus Vermont liquors and wines. 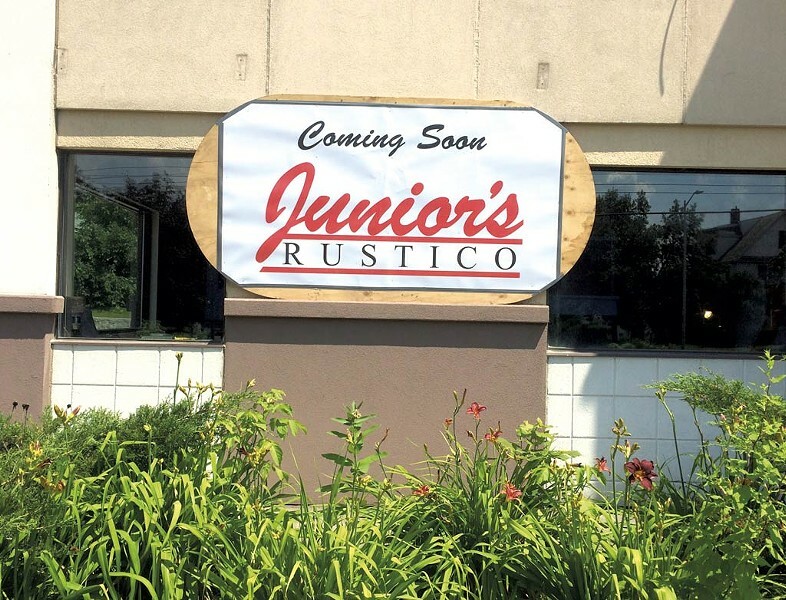 The man behind this transformation is none other than Junior's Italian owner Franke Salese, who hopes to open Junior's Rustico by the middle of September. While his Colchester restaurant boasts 300 seats, there will be 80 in his new location, which he says will have a new menu concept and will use more local ingredients. Fans of Junior's New York-style pizzas will still find them, but in smaller sizes. Other red-sauce dishes and pastas will be on the menu alongside Italian small plates, including a variety of crostini. Homemade pastas will include ravioli. And with the craft-pub vibe will come matching menu items, including burgers, wings, steak sandwiches and homemade sides such as onion rings and hand-cut fries. "It's gonna be a place where you can grab a bite to eat, grab a beer — or a couple beers. Nothing pretentious at all," says Salese. But Rustico will be worldly. Salese's wife, Evelyn, a driving force behind the business, is a native of Costa Rica. One night a week, the restaurant will host tastes of her native cuisine and salsa dancing. The original print version of this article was headlined "New Old World"